On Tuesday, Feb. 27 we [SECoast] participated in a round table in New Haven hosted by New Haven Mayor Toni Harp, and Hartford Mayor Luke Bronin, with 40 or so others to discuss alternatives to NEC Future high-speed rail planning. Attendees included administrators from Yale and Trinity college, Department of Economic and Community Development (DECD) head Kristina Newman-Scott, former CTDOT Commissioner Emil Frankel, engineer Foster Nichols, among others. The project is being organized by former RPA head Bob Yaro, and former DECD head Kip Bergstrom. You can download the 50 mb 200+ page document here. And while NEC Future was tailored for the needs of the largest cities along the Northeast Corridor, Yaro and Bergstrom have rather crafted a plan which also benefits inland and mid-sized cities along the corridor, by drawing from similar efforts in Great Britain to connect Manchester, Liverpool, Leeds, Sheffield, Hull and Newcastle, in the north, to London. You can find an hour-long video presentation of the project from last July to the Lincoln Institute here. Given the current lack of funding, it’s an ambitious plan, but a serious one, worth serious consideration. SECoast’s Gregory Stroud will be meeting with project leaders again on Thursday for further discussions. In the meantime, I’d encourage you to take a look at the project, and tell us what you think. With Connecticut’s Special Transportation Fund on the verge of insolvency, and the Malloy administration proposing a first wave of drastic cuts, and fare increases, to train and bus service to take effect on July 1, [detailed here], the Connecticut Department of Transportation (CDOT) has been holding hearings over the last three weeks across Connecticut, and (more surprisingly) in Massachusetts. SECoast board and staff members attended a February 28 hearing in New London, where a diverse group of 50 or so members of the public — young and old, poor and well-to-do, African-American, Asian-American, Latino, and White — offered relatively muted criticism of proposed fare increases, together with broad and pointed opposition to proposed service cuts. [Take a look at Kim Drelich’s coverage for The Day here]. In turn, CTDOT commissioner James Redeker presented a persuasive case for increased revenues and investments, including two-cents yearly increases over seven years to the gasoline tax, and new tolling along the state’s major roadways, to avoid these unsustainable cuts to transportation. This all made for good theater for the Malloy administration, but also missed an essential purpose of such hearings, which is not just to allow the public the chance to air its grievances, but also to take part meaningfully in the decision-making process. As far as the latter goes, meaningful public participation requires a level of transparency which has been lacking in the materials provided. And we have significant concerns that these proposals have been presented as simply mandated, rather than as the result of limited, but real choices made behind closed doors. In much this vein, RiverCOG executive director Sam Gold briefly outlined lengthy written comments and opposition to the proposed cuts. Gold questioned the fairness of cuts to towns like Old Saybrook, which played by the rules, embraced CTDOT priorities, and heavily invested in transit-oriented development (TOD). Gold further questioned the priorities and motivation of CTDOT cuts which would spare CTDOT’s own CTTransit, while falling heavily on towns like New London with municipal-supported (and controlled) transit. We agree. In contrast to an earlier hearing in Stamford, where elected officials have faced criticism for cutting a lengthy line to present comments, few elected officials turned up in New London. State Rep. Devin Carney, ranking member on the Connecticut General Assembly Transportation Committee, was a notable exception. We strongly encourage you to write to CTDOT by March 16 with your comments. Just click here. 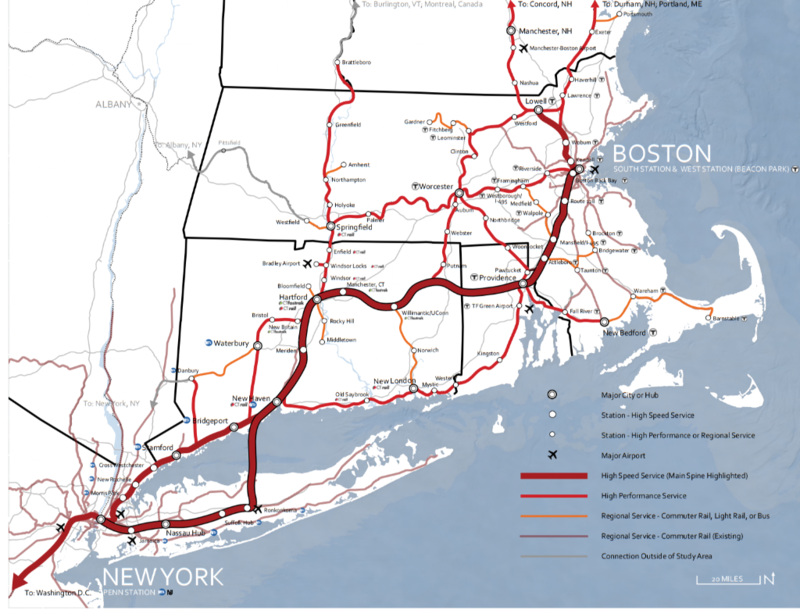 On Feb. 22, as part of a larger coordinated rollout by the Malloy administration of revenue proposals, announced project cuts, service cuts, and fare increases, CTDOT reintroduced targeted plans to widen I-95 through Fairfield County and southeastern Connecticut. Kim Drelich covers the announcement for The Day, here, you can also find coverage in the Hartford Courant, and in the Yale Daily News here. While we appreciate the need to improve safety and reduce congestion on I-95, we have several concerns about the announcement. Most importantly, whether you are for or against proposals to widen I-95, by failing to release the actual studies, and by providing the public with only summary findings, CTDOT is depriving the public of a chance to meaningfully participate in a decision on the topic. In southeastern Connecticut, we are left to wonder whether this latest plan differs materially from earlier planning proposed in 2005, which would require significant takings and environmental impacts. In Fairfield County, we are left to wonder about the impacts to the densely settled corridor. In the case of the National Historic Landmark Bush-Holley house for example, it appears that while keeping to the existing right of way, and to CTDOT property, such widening could still significantly impact properties alongside the corridor, with enormous potential impacts to the property, and to ongoing projects by the Greenwich Historical Society. 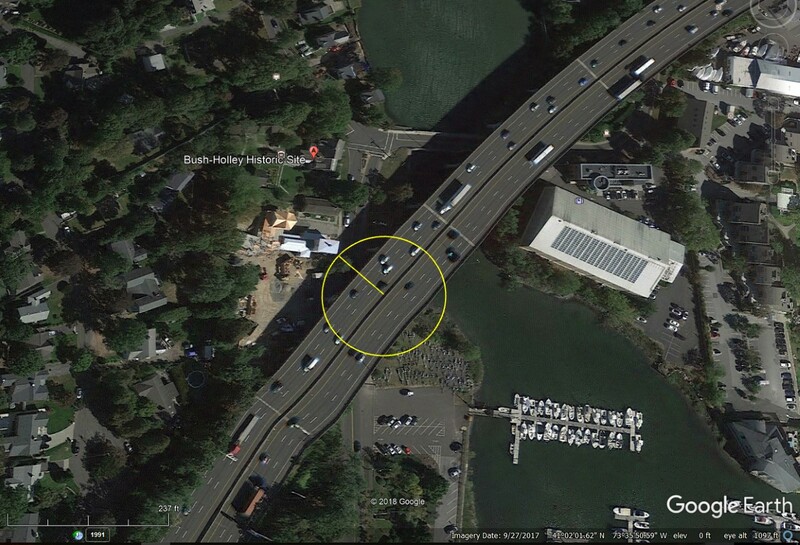 We are of course encouraged that the plan keeps as much as possible to the existing right of way, and to CTDOT property, but we’d like to know much more about the actual impacts and plans for construction at the Mianus river crossing in particular. Such plans are simply too important to made behind closed doors, and without timely and sufficient public scrutiny. And they obviously make little or no sense when paired with transit cuts that would send thousands of additional commuters onto I-95.